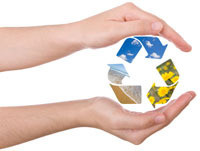 Office Revival Cleaning Services care about the environment and try to be as carbon neutral as possible. Eco friendly offices are much healthier for staff and so	office	managers	and	directors are demanding a Green Eco-friendly service to ensure staff attendance production levels do not decrease. Although the office cleaning industry does not have a huge effect on the environment we believe we should all try to cut down our own carbon footprint. With this in mind Office Revival went "GREEN". How does Office Revival deliver a green, environmental friendly cleaning service? First and foremost we decided to reduce the amount of waste and more importantly chemical waste with immediate effect. We believe that we are now in the very lowest bracket of waste in the UK. The major one was providing a Green cleaning service at no extra cost to the client. 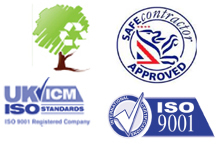 We train our staff to practice the highest standards of Eco Friendly Cleaning. We only use the best Eco-friendly / biodegradable cleaning products. We use biodegradable bin bags. We also actively encourage our clients in Eco-friendly workspace habits. Stock & cleaning equipment are purchased in bulk, lessening the transportation waste. Were possible we will purchase refills rather than brand new, saving packaging etc. We also follow strict "Green" code at our head office. Only together can we all help the Earth & our local environment. Start by employing an eco-friendly office cleaning company to make your workspace greener today! We are Office Revival and our dedication to providing the highest cleaning quality possible whilst maintaining the enviroment will never be shaken!